It is hot in Michigan this week. Really hot. Yesterday was at some point 100°. I thought this heat wave would be the perfect time to share with you a headband I made. It's the perfect size to hold your hair back when working out or adding some sass to your hair. 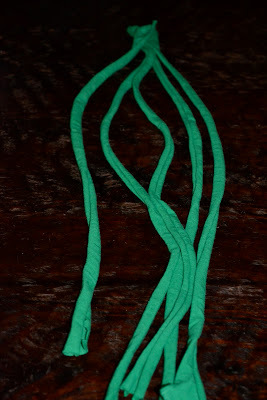 It can be made from old tshirt scraps. 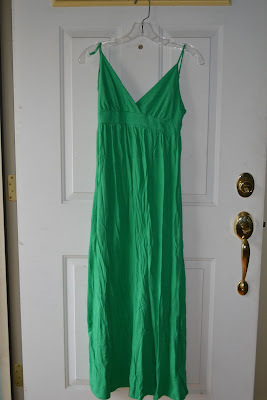 I chose to make it from this old maxi dress that I no longer wear. I found the how-to for this great headband on Make It and Love It. Make sure you check it out. The first thing I did was cut 5 strips out of the dress. Next, I hand stitched the 5 strips together. 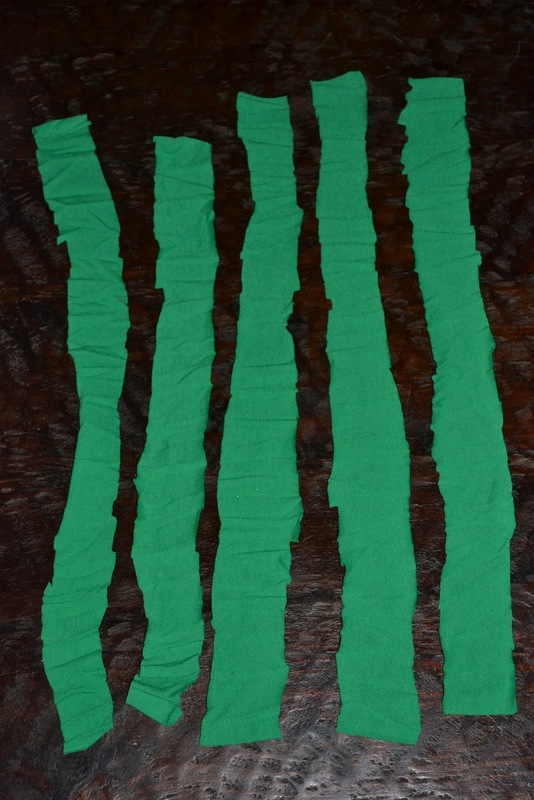 Then I stretched each strip by individual pulling each strand. The main part of this task is the braiding. This is a 5 strand brand and I've thought and I've thought about how to explain it. 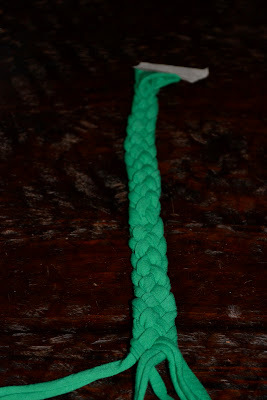 I finally realized there is no way I can describe how to make a 5 strand braid better than the blogger. So - if you are making this headband, just head over to Make It and Love It for the instructions. When the braid was finished I hand stitched the braid to close it. I know, the stitching is rough, but it gets the job done. Don't judge. I then stitched both ends together to close the headband. 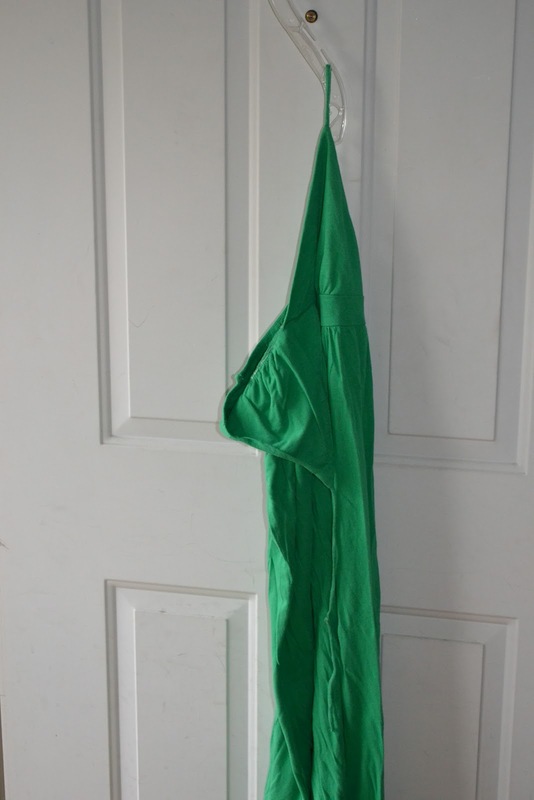 Lastly, I wrapped a small section of fabric around the two ends to create a more cohesive look. I really like this headband! I'm definitely going to make more. I was nervous to attempt a 5 strand braid, but it really was easy. I can't believe I was actually able to do it. What do you think? Will you give it a try? Make one for me!!!! Please!! !